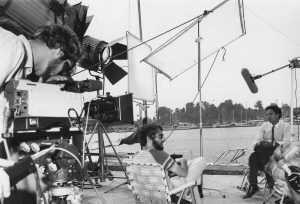 A few weeks ago one of our members asked me about his screening room. He has a room which is 25’ X 35’ X 11’ high. Basically 10,000 cubic feet. That’s not a small space. He was using JBL LSR 6328p speakers to pump the Dolby standard levels into his audiences. These are incredible speakers, and I mix on them at my place. Of course, they’re $1,500 each, and they’re rated for the Dolby demands of 105 dB at 10’…but you’re driving them quite hard to do that. We go over all of this in the MZed Pro Membership Education, but let’s dive into this for a second. 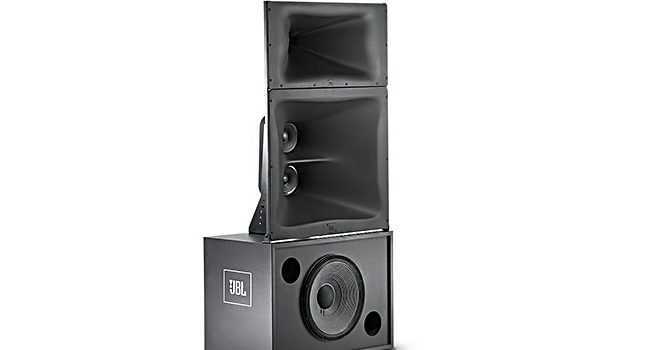 JBL 6328P. A great choice for near field monitoring @ $1,500 each. We really don’t want to be driving speakers very hard in our studios. Pushing your speakers to their limits – even if it’s only 85 dB at your listening position – can not only damage them over time but cause a coloring of the sound itself. It also introduces distortion which is the quickest way to damage speaker cones and earballs. He told me that he knew he was driving his speakers a little too hard, and he wanted a solution for 5.1 which could be under $4k. Needless to say, that is a uber hard thing to do. 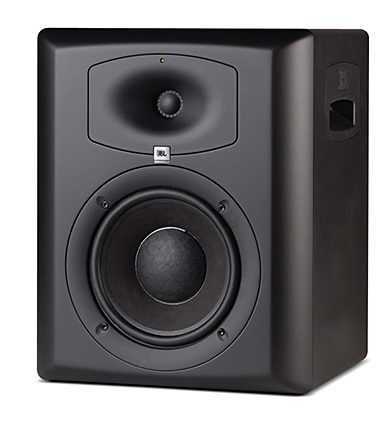 JBL LSR 305 is the perfect budget nearfield monitor. How do you go from $1,500/channel and do more power for a fraction of the price? Quite the dilemma. Just to be clear, this is not at all the issue with finding god “near field” speakers for your mixing space. There, you want speakers that have enough power to give you 105 dB at 5’…which if you’ve learned about Inverse Square Law from the Pro Member’s education, you know that it’s a vastly smaller power requirement to drive 105 dB at 5’ than at 15’. And just to answer your next question, I recommend the JBL LSR 305 speakers for your near field studio without reservation. At $125 each, it’s a no brainer. 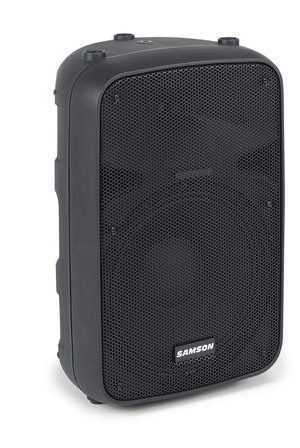 108 dB @ 1m Maximum output – which means that the speakers were frying whenever they had to drive 105 dB at 25’…a lot. These are pretty great stats, but a far cry from what’s required at range. As much as I love these speakers, they’re also not in our price range. Although the range of the output isn’t printed, based on the difference in amplification, you can guess the difference in power output. But again, these speakers are meant to be used out to 5’ maximum. And believe me, they can get loud in that range. This member reminded me about the system that we had on the Sound Advice Tour. It was a set of 5 Samson XD12s and Auro D1200 subwoofers. Not only was this system punishingly loud, but it was very roadworthy and easily survived 16,000 miles and 32 cities. Well, from sheer specs, these look pretty great. The trouble is they, indeed sounded like a trumpet in your ear. To compensate for this, however, we ran 31 band graphic equalizers on each channel and tuned out the brassiness, enhanced the high frequencies, and added body in the 400 Hz area. These were not small tweaks at all, and some bands were -12 dB. But after some tweezing, all of a sudden these speakers were sounding great, had plenty of power and were road worthy. It’s true that we were burning a great deal of the speakers’ amplification by turning down those frequencies which they liked to blare on about. To create an equivalent “A rating” dBspl, we certainly had to use more amplification, but the speakers were easily rated for it, then they gave us no trouble and no “over” lights. 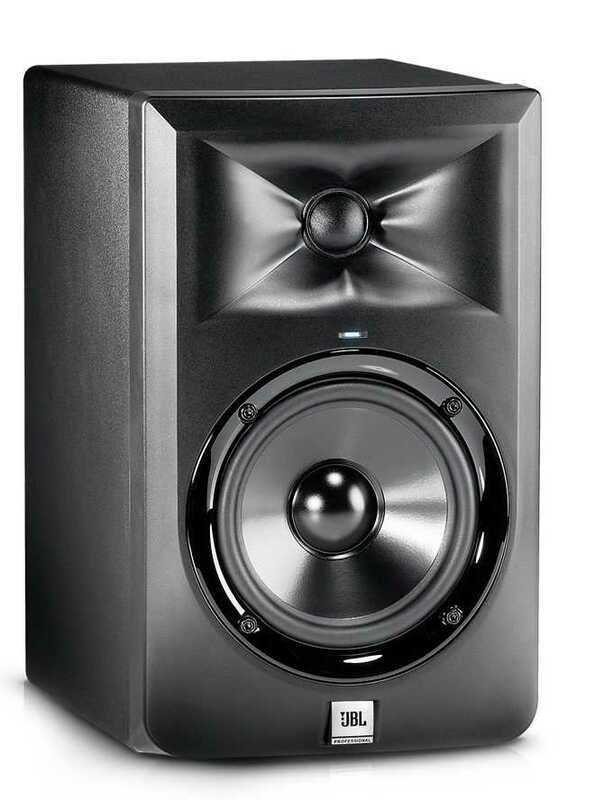 For the studio/theater situation, the clincher is that these speakers are $300 each. Yeah. Wow. Of course, you have to factor in 5 channels of 31 band EQ, but since our friend had to use a professional interface to get the sound out of his playback situation anyway, that unit had plenty of EQ built in to each channel. Even if he had to purchase outboard graphic EQs, such as the two channel unit we used in the Pro Member education (DBX 231s), with 5 speakers ($1,500), a sub ($500) and 5 channels of EQ ($900) you’re at $2,900. Is this the best solution? No way. The best solution would be to spend the money and get the JBL Screen Array system, but it wasn’t in his budget. I’m also not suggestion you mash a PA speaker into a studio/theater usage. But if you had to, I’m telling you it’ll work, and it’ll probably work well…and well for your budget. Tell us about your room and how you solve your issues of power there, or Tweet about it!